Udaipur is as colourful as any peacock or rainbow, with uniquely handcrafted and exquisitely embroidered items which enthrall you and steal your heart. You really need to know the best places to shop in Udaipur to get the aesthetically-crafted items like silver and stone jewellery, hand-embroidered dresses and accessories, bright-coloured/hand-printed textiles, Meenakari work, miniature, Pichwai and gemstone paintings, marble carvings, panels and sculptures. We explore the best shopping places in Udaipur so you know exactly where to go when you are there. Rajasthan has an unbelievable number of items you can buy and you will find all of them here at Bada Bazaar from shops big and small, and roadside stalls which lay them all out for you, to pick from. Jewellery made of silver and camel bones is a specialty of this bazaar, which is one of the best shopping places in Udaipur. Also look for sarees and fabrics dyed using the traditional Batik and Bandhani methods. Mochi means cobbler and this bazaar is all about shoes. The leather shoes come handmade and embroidered with colourful threads. The curing of the leather is not of very high standards, making their prices fairly reasonable, making it one of the best shopping places in Udaipur for leather shoes. Accessible by foot when you visit the city palace, this bazaar is a great shopping place and a treasure trove of Rajasthani handicrafts and folk arts. The items here are reasonably priced but if you are obviously not a local, they may be hiked up for you in no time. 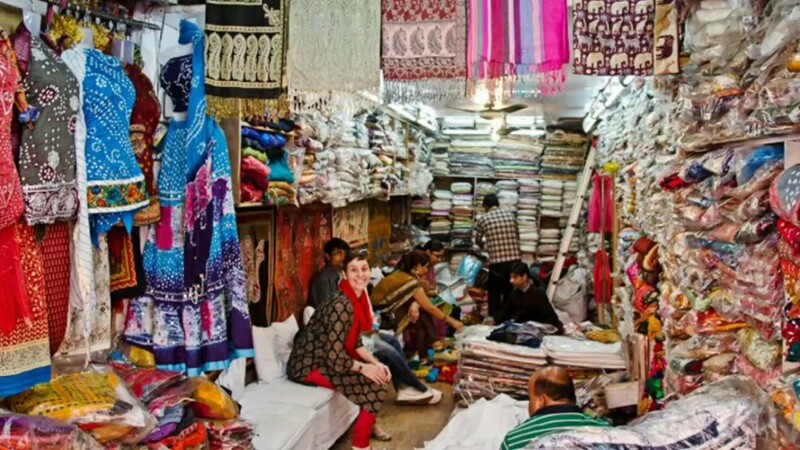 Try and bargain or go with a local friend to pick up souvenirs of paintings and handicrafts as well as embroidered leather slippers made of camel skin, called Nagra. 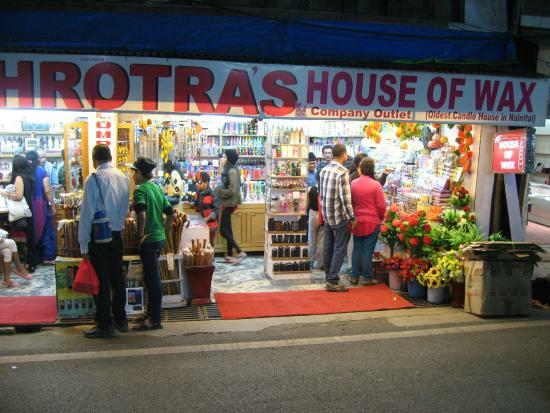 Named after Maharana Pratap’s faithful horse, this circle is one of the best shopping places and a bustling marketplace where you could go street shopping for the handmade dolls and puppets, pens, pen stands, handmade papers, colourful lanterns, painted boxes, handicrafts and brassware. Do look for the pottery in amazing designs. You will find fresh spices and herbs right next door at Mandi Bazaar, so ask someone if interested. Bapu Bazaar is another great shopping place and market where you can find a lot of souvenirs and traditional items to buy. 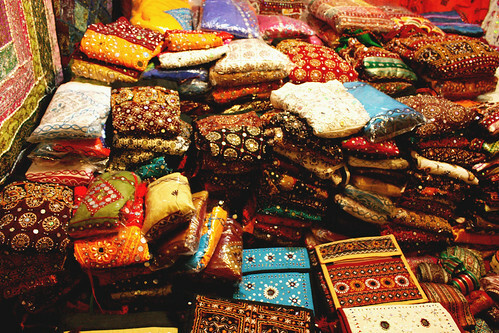 Go here to buy clothing, especially the beautiful and colourful sarees and handicrafts of Rajasthan. You will also find footwear here and a variety of gadgets. Don’t miss the delicious street food at this bazaar. Built in the style of a village in 70 acres, the crafts village of Shilpgram is a beautiful place to visit and spend time at and to watch the various dance and music events which take place here on a regular basis. While you are here, do visit the shops too to pick up clothing, jewellery, handmade paintings, wooden furniture and pottery items. Every state government runs an emporium to showcase and sell the beautiful handicrafts and rich traditional art of its people. Rajasthali sells the brass and terracotta items, marble sculptures and gemstone, silver and lac jewellery, footwear, puppets and idols made in Rajasthan. Quality is guaranteed and prices are fixed. Shop here to escape the hassle of street shopping unless you are adept at it or enjoy the challenge. This showroom is a good place for shopping at Udaipur. Conceived of as a dedicated outlet to sell items which form a source of income to women who are rural, tribal or from the urban poor category. Clothing material in vibrant hues and many colours, with applique and embroidery work on them are sold here at very affordable prices. The prices will prove amazingly reasonable and the variety of items mind-boggling. You can also buy woolens, and statues of idols in wood and brass. The street leading to the famous Jagdish temple is another shopping area where you can buy many beautiful items as souvenirs. These range from traditional puppets, idols, wooden toys, tapestries, lanterns and items made of metal and terracotta. You can buy journals and diaries, with covers made from camel leather. Also known as Clock Tower, the area around the Ghanta Ghar is full of shops where you can pick up beautiful handicrafts and amazing souvenirs for personal use or as gifts. The pagdis or turbans worn by the local men can be bought as well as colourful tapestries and decorated idols of Hindu Gods and Goddesses. A variety of jewellery items which use precious or semi-precious metals and gemstones can be found here. Head here to find reasonable-priced clothing of various hues, mostly ethnic and highly favoured by shoppers who want to buy clothes for special occasions like festivals and weddings. 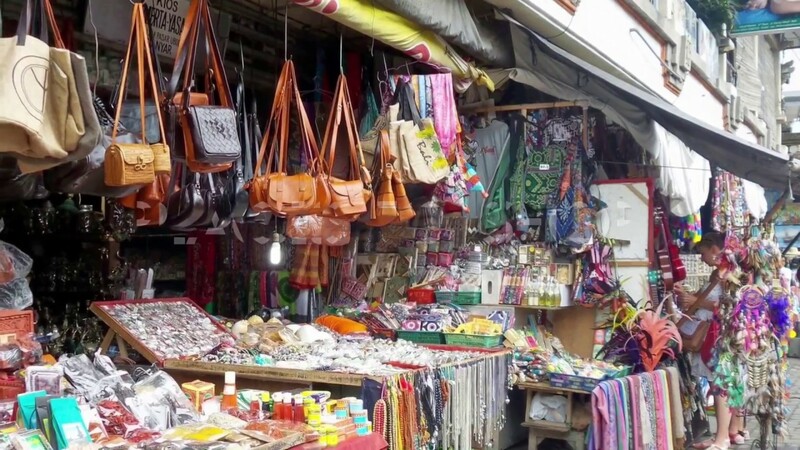 This bustling market offers a mind-boggling variety of extremely affordable items of clothing, making it very hard for a shopper to resist. 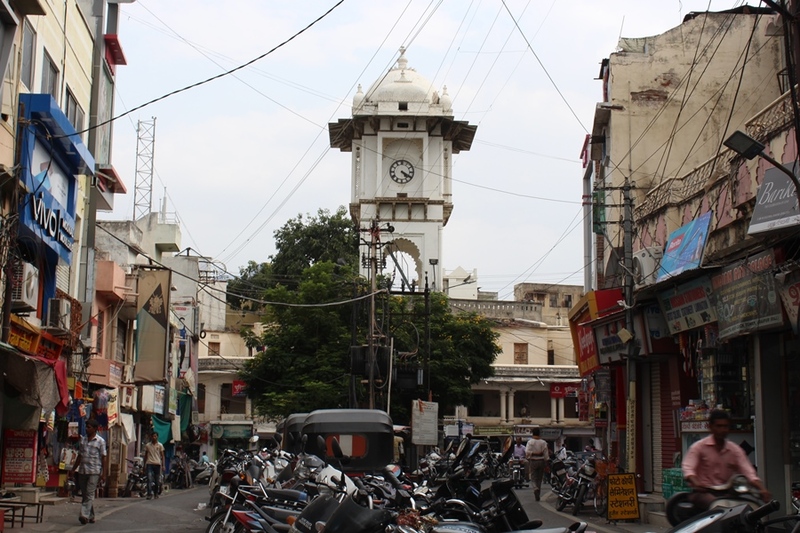 Shopping places in Udaipur are plenty, but you have to know where to go to get the best items. Our list of the best shopping places in Udaipur has something to suit every budget. Pick up things like costume jewellery or a leather-bound diary to use on a daily basis and remember that once you visited a beautiful city of lakes and palaces which mesmerizes all its visitors.